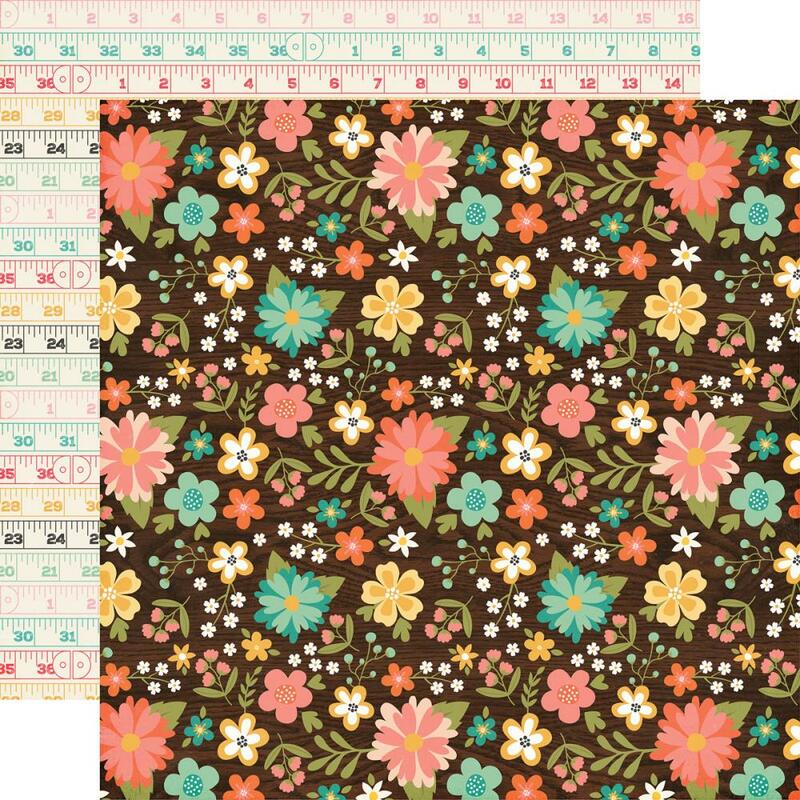 This 12x12 double sided paper has Colorful Florals on the frontside while the reverse side has rows of Measuring Tapes. Part of the I'd Rather Be Crafting by Echo Park Paper. Look for coordination Stickers & Designer Papers.